Willis has a range of revenue enhancement products and services designed to be self financing to you and your clients. By Willis Group Holdings based in London, UNITED KINGDOM. With decades of scientific, technical and business experience represented within its technical and business team, Xogen is able to provide services to its customers for the treatment of wastewater from industrial, commercial and municipal sources and for the development of business in this sector. By Xogen Technologies Inc. based in Orangeville, ONTARIO (CANADA). By IDTechEx based in Cambridge, UNITED KINGDOM. Purposefully integrating sustainability into corporate strategy is a critical driver of success. Our collaborative approach to strategy development produces focused, pragmatic planning frameworks that help clients find their authentic sustainability voice and align resources around clear sustainability trajectories. By Innovolve Group based in Toronto, ONTARIO (CANADA). By RNCOS based in Delhi, INDIA. By Abengoa Bioenergy based in Chesterfield, MONTANA (USA). By Fondazione Eni Enrico Mattei (FEEM) based in Corso Magenta 63, ITALY. By Carbon Assets based in London, UNITED KINGDOM. KHO International Trade Consulting, LLC (KHO) produces a regional and country specific overview, focusing on a specific business and industry. This overview includes the analysis of the regulatory framework for the registration, importation, distribution and sale of a product or service in a particular country and region. By KHO International Trade Consulting, LLC based in Atlanta, GEORGIA (US) (USA). By GeoPraxis based in Sonoma, CALIFORNIA (USA). MarketResearch.com offers a variety of business intelligence solutions that are designed to solve your toughest challenges. 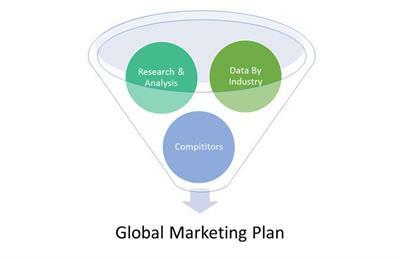 By MarketResearch based in Rockville, MARYLAND (USA). By SolPowerPeople, Inc based in Del Valle, TEXAS (USA). By Global Environment & Technology Foundation (GETF) based in Arlington, VIRGINIA (USA).